The Benelli M2 is a semi-automatic shotgun that is part of the Italian firearm manufacturer Benelli Armi SpA’s line of Super 90 semi-automatic shotguns. It is the second model of the Super 90 and an update to the Benelli M1. There are many versions of the Benelli M2 that are made specifically to cater to their intended use. There are M2 shotguns made for the military, law enforcement, and ordinary civilians. Of course, civilians who want to upgrade their shotguns themselves will often turn their M2 field shotgun into an M2 tactical or competition shotgun like police officers or competitive shooters use. The Benelli M2 uses the inertia recoil system which was developed by Paulo Benelli in the 1980s specifically for the first three models of his Super 90 shotgun line. 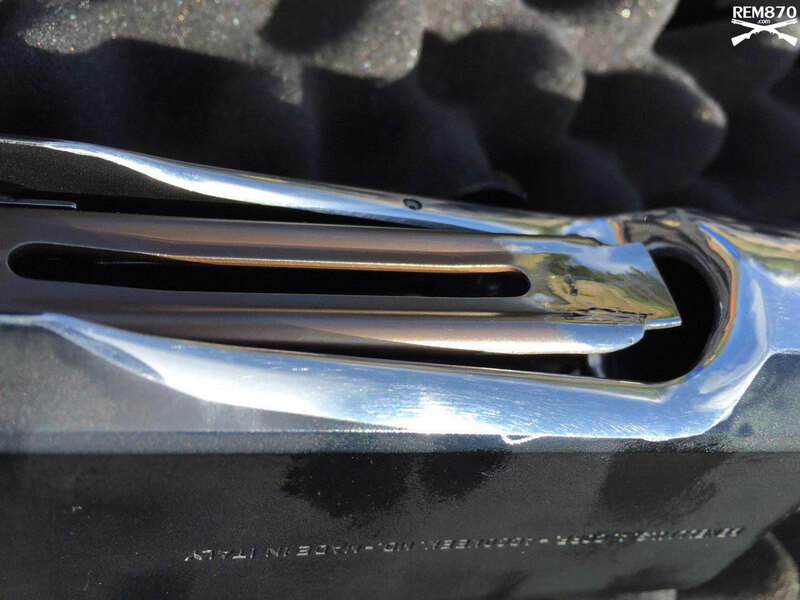 This recoil system takes advantage of the shotgun’s backward movement after it has been fired. It is one of the most popular (if not the most popular) competition shotguns used by top competitors all around the world. There are several things that you need to upgrade to make your Benelli M2 even better. Some of them are inexpensive while others are pricey. This post will cover most of the Benelli M2 upgrades, accessories, and modifications. Most of the accessories and upgrades can be installed without the help of a gunsmith but some of them require professional help. The only thing that is not covered in this post is the Benelli M2 modified bolt. It can be ordered from Salient Arms International or Taran Tactical Innovations. One of the most inexpensive but must have upgrades is a magazine follower. All of the shooters I asked agreed that the factory follower needs to be replaced with the Nordic Components Teflon coated low drag follower. 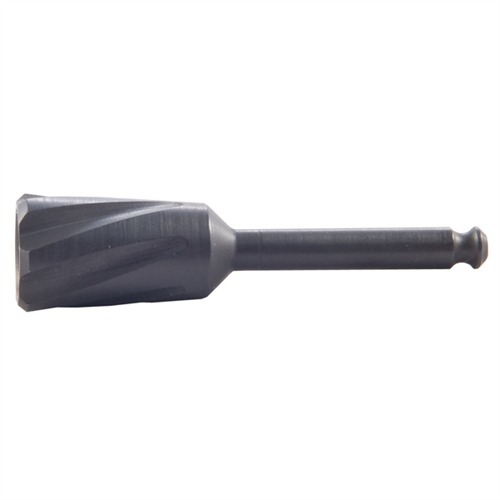 It costs less than $20 and improves the feeding and reliability of your shotgun. It makes loading and feeding smooth and trouble free. 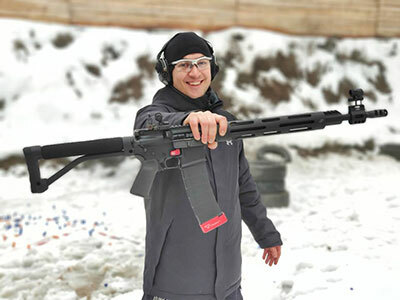 There are other magazine tube followers available on the market but this one is used by most of the competitive shooters without any problems. There are no special instructions for the follower installation. You just replace the factory follower with the aftermarket one. The standard safety button is good but it can be replaced with an oversized one. An upgraded safety enables the shooter to disengage it faster especially if they are wearing gloves or under stress during a competition. Even experienced shooters may forget about the safety while under stress or when they need to start from an unusual position. 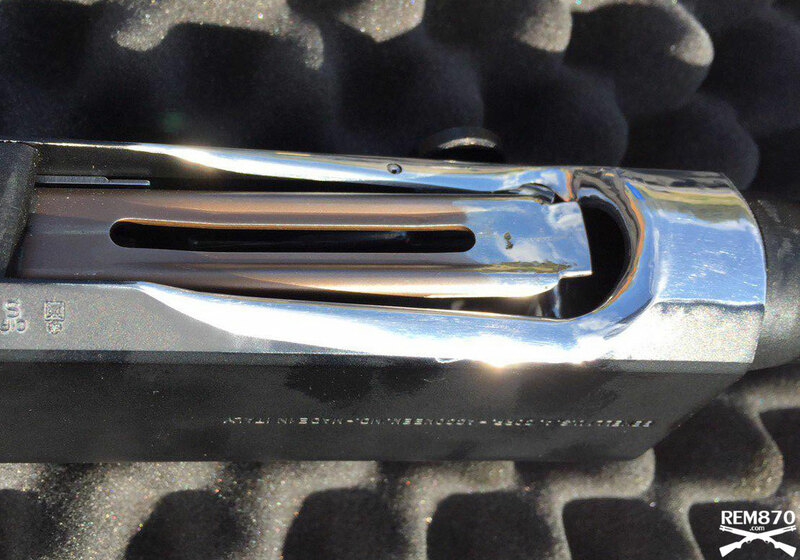 This could be a shotgun held in a weak hand or when the shotgun is lying on a table. That is why an oversized safety is handy because it sticks out and you can switch it off simply by putting your finger on the trigger. There are many aftermarket oversized safety buttons available for the Benelli M2 shotgun. They all work similar but have cosmetic differences. Some competitors use a factory safety without any problems but many prefer to have the oversized one in order to find and disengage it faster. The Standard Benelli M2 bolt handle is rather small. That is why the extended charging handle is another feature which is good to have. It makes manipulations easier while under stress. There are several extended bolt handles available on the market. 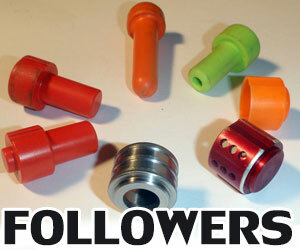 Most of them are from well-known manufacturers such as Taran Tactical Innovations and Nordic Components. There are also bolt handles from smaller companies as well. 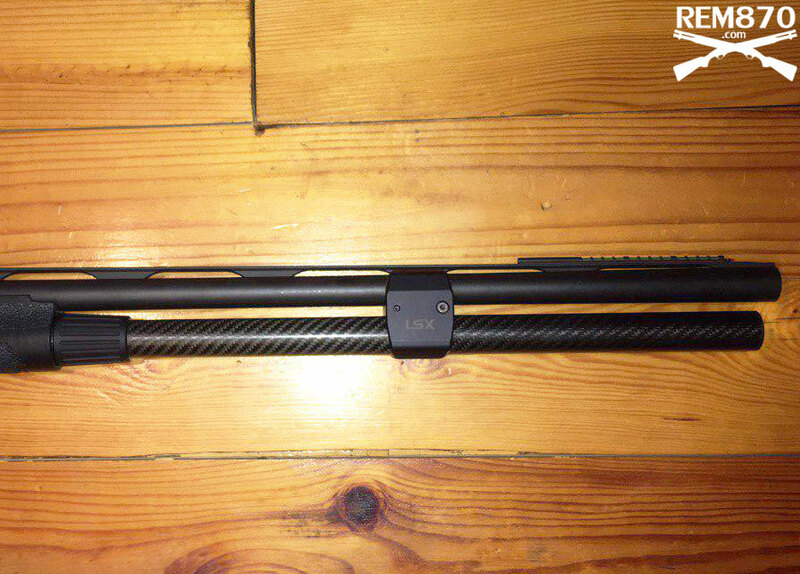 Many users effectively use Nordic and Taran oversized charging handles and you can’t go wrong with them. So, choose which one you like more. All of the competitive shooters I know upgrade the factory bolt release button which is rather small with an oversized one. 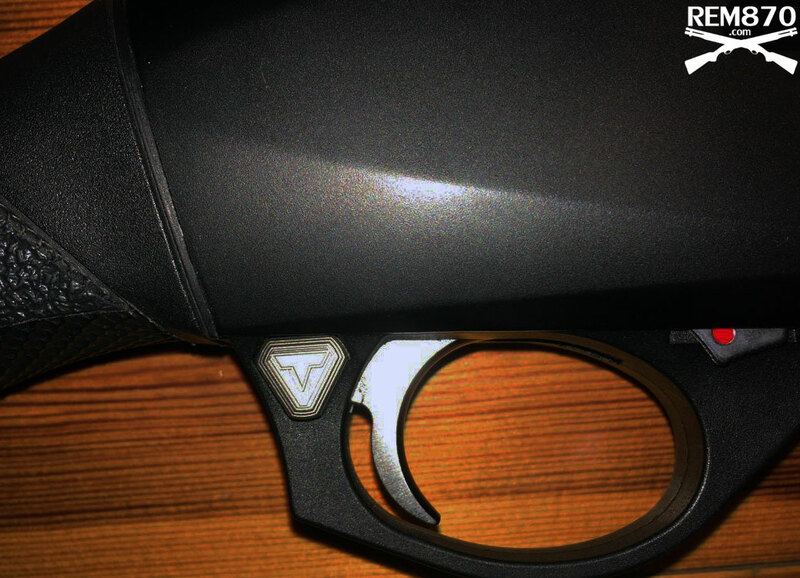 An oversized Benelli M2 Bolt Release button is easier to find and press especially under stress. It is extremely handy when the shotgun is empty and you need load a round into a chamber and press the bolt release button without looking at it. The Taran or Nordic buttons are inexpensive and used by many shooters. 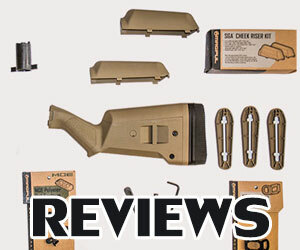 The Red Neck Tactical Benelli Rapid Bolt Release Tab is inexpensive but looks very interesting. The GG&G Bolt Release Button is very expensive (more than hundred dollars) but doesn’t have any big advantages. Use Loctite when installing the rectangular bolt release button. This will prevent unwanted movement. Half of the success during shotgun competition depends on the speed of reloads. 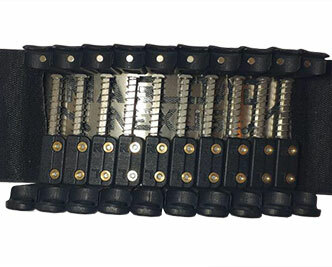 Most of the competition shooters use Load-2 or Load-4 belts which enable competitors to load shotguns really fast. You need to load your shotgun quick in order to win competitions. That is why the loading port requires modification. The loading port needs to be opened and polished, and it needs to be really smooth so that loading can be easier. An opened loading port enables the shooter to load their shotgun much easier and faster. Such modification should be done by an experienced person or professional gunsmith. Some shooters do it at home but it requires special equipment and skills. Be careful to not overdo this because it may lead to malfunctions. 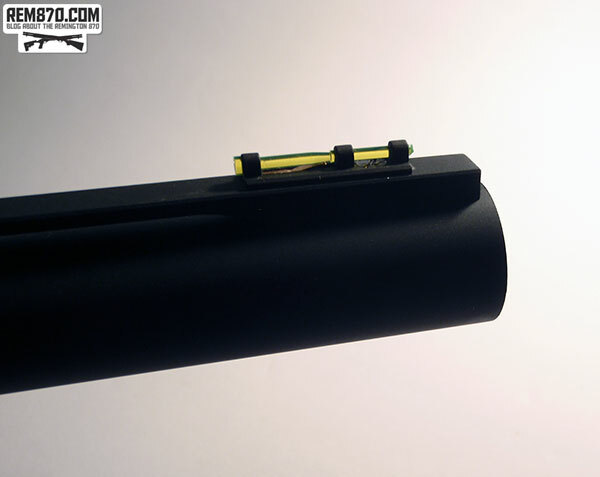 If you open the loading port too much, the magazine follower (especially if it is worn out) may stick out too far causing malfunctions. 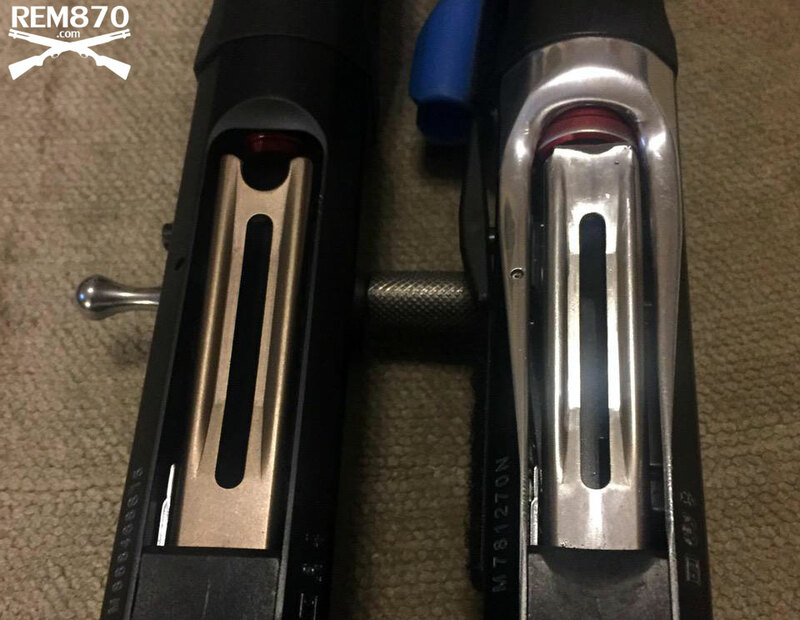 The modified loading port may look scary at first but it really simplifies the loading of a shotgun. 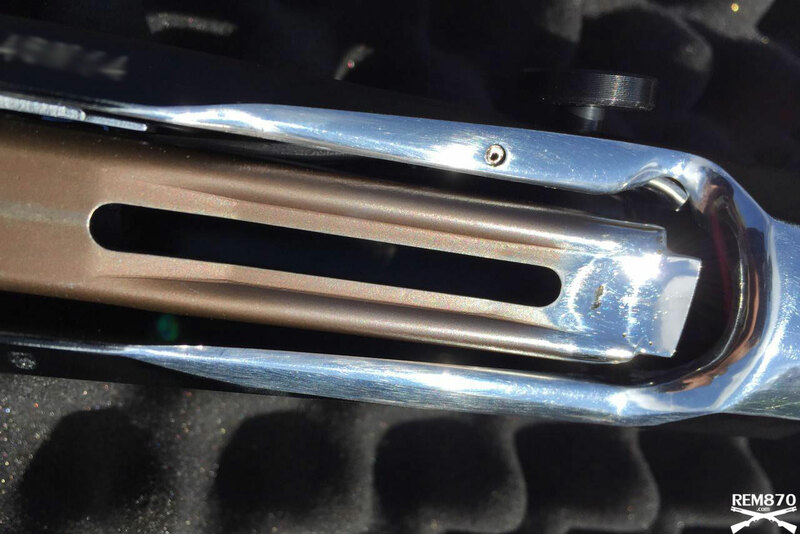 Most of the competitive shooters do this modification to their Benelli M2 shotguns. As you already know, fast reloads are crucial for good performance during shotgun competition. And another part that needs to be upgraded or modified is a shell lifter (carrier). The fork shape of the factory carrier makes fast Load-2 or Load-4 reloads very inconvenient and almost impossible. The carrier must be extended for trouble free reloads. The fork carrier can and will catch your thumb every time you try to load shells. 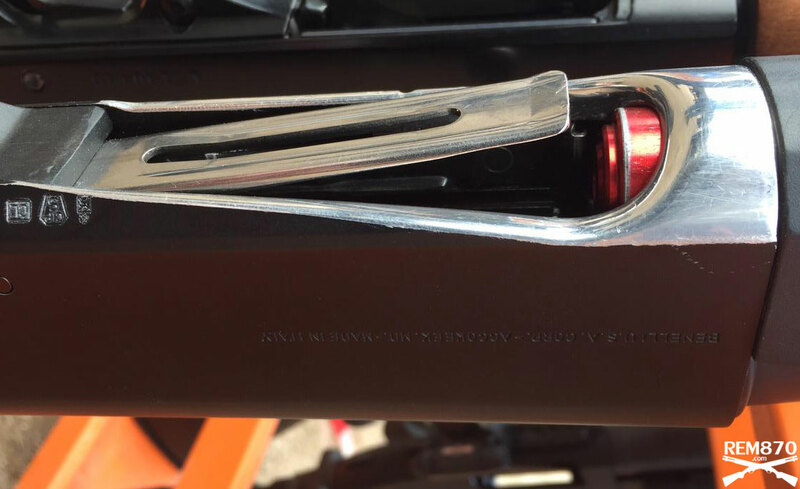 You may try loading your Benelli M2 without modifying the carrier but you will end up installing the extended one. So, it is better to install the extended carrier from the beginning. You can either extend the carrier with the help of a gunsmith or you can simply buy the Benelli AccuGuide Extended Carrier by Taran Tactical Innovations. The extended carrier makes a huge difference because the loading becomes much smoother. The lifter won’t catch your thumb and you will be able to load your shotgun much faster. And remember, success during a shotgun match depends on the speed of the reloads. (You may notice red color inside of the magazine tube. That is the second magazine follower installed from the other end of the magazine extension to stop the spring from binding when you screw on a magazine extension cap). 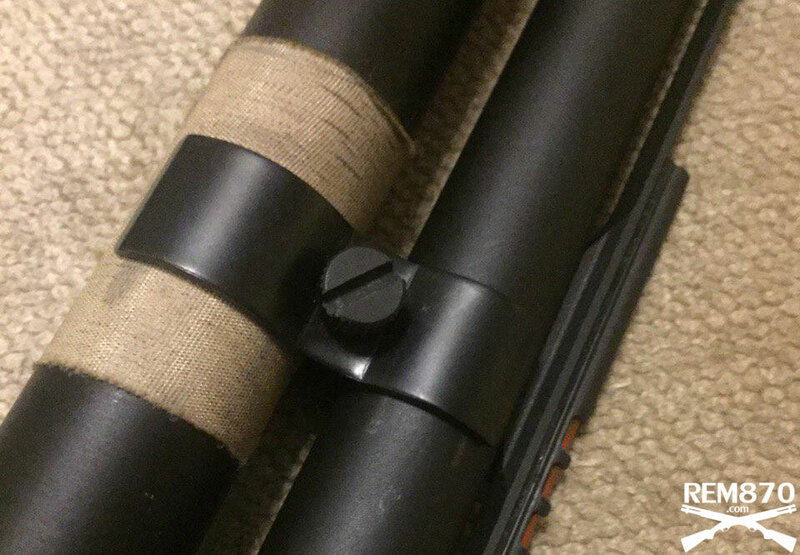 Many of the Benelli M2 owners use the Nordic Components magazine extension tube. It consists of 3 parts: tube, tube end cap, and tube nut. It is made of aluminum and is much lighter compared to the metal extensions. 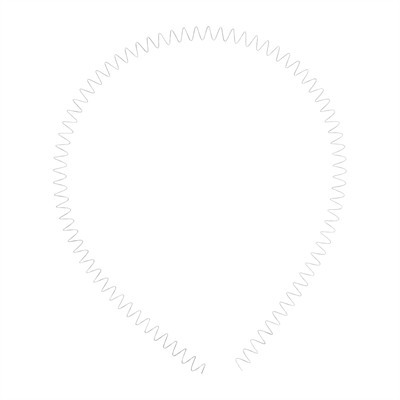 This extension comes with a high-quality spring with black coating. 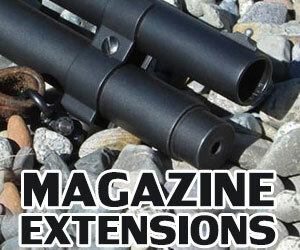 It is the most affordable magazine extension on the market. 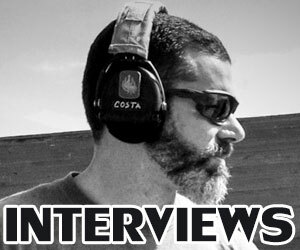 There are other extensions that are used by competitive shooters but they are priced higher. The lightweight carbon magazine extension by LSX (Lancer Systems) is a very good option because it is as light as possible. The tube nut is made of aluminum and the tube is made of carbon. 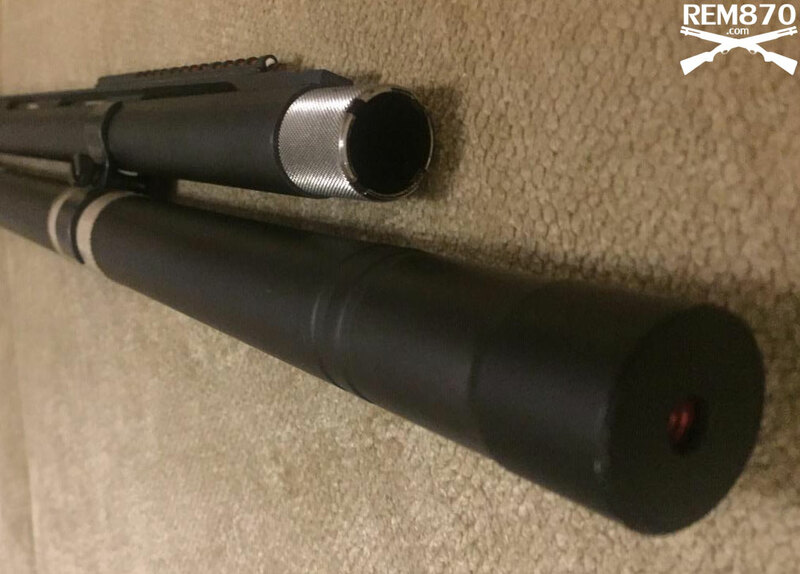 This combination makes the LSX magazine tube durable and very light. 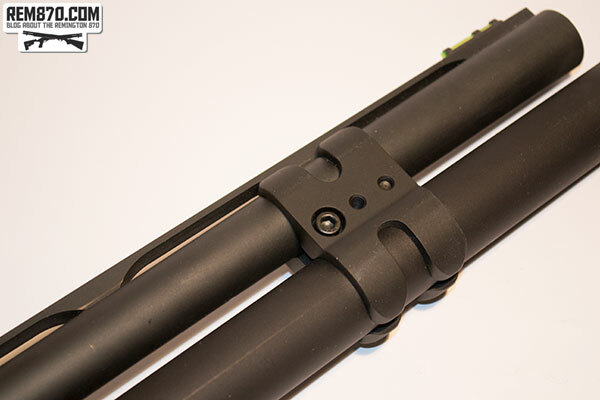 The X-Rail Monotube System is a very interesting long magazine tube which replaces the factory tube. It doesn’t have a joint between the tube and tube extension (where follower or spring can get stuck) and makes feeding more reliable. The biggest disadvantages are the weight of the system and its high price. (You may notice white duct tape which shotgun owners use to protect the finish of their shotgun from scratches). 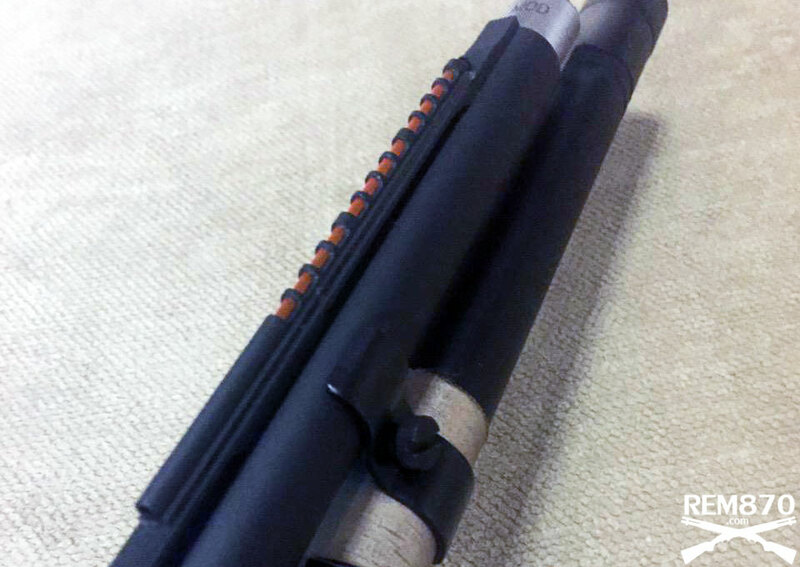 Magazine extension clamps hold the barrel and the extended magazine tube. They stabilize and support the magazine tube. 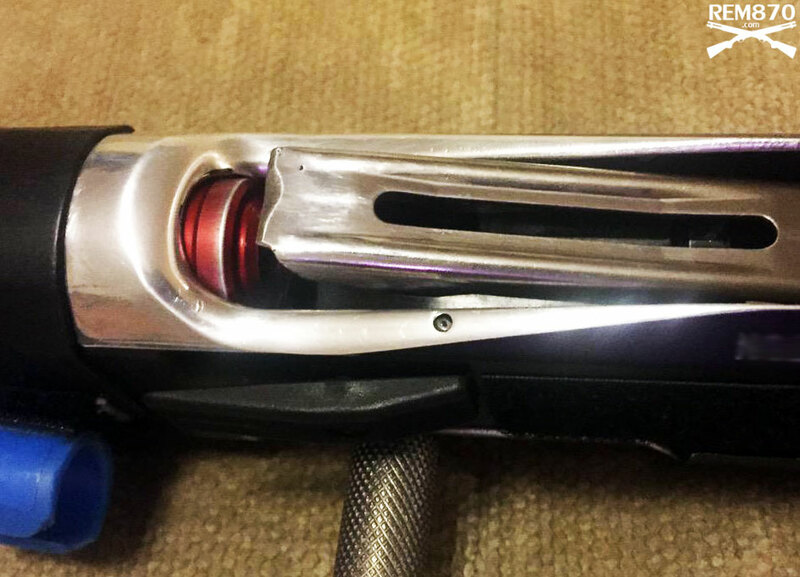 Magazine clamps are not mandatory for shorter tubes but they are the must have for shotguns with very long tubes which most of the competitive shooters have. There are two common magazine clamps that shooters use: Benelli and Nordic Components. The Nordic Components magazine clamp looks sturdier and many shooters prefer them. You can also choose the Benelli clamp which also works fine. Actually, it doesn’t matter which magazine clamp you choose. Just be sure to have one to protect your magazine tube because shooters often hit barricades with their shotguns under stress. Magazine tube clamps may change the point of impact with slugs, so make sure that you always have it in one exact place. Most of the shooters use Nordic Components magazine springs. They are 45″ long and need to be cut to proper length. They fit even the longest magazine extensions. Manufacturer recommends to have 14-16″ extending past the end of the magazine tube. You may carefully experiment with the length of the magazine spring. Nordic springs don’t set over time. 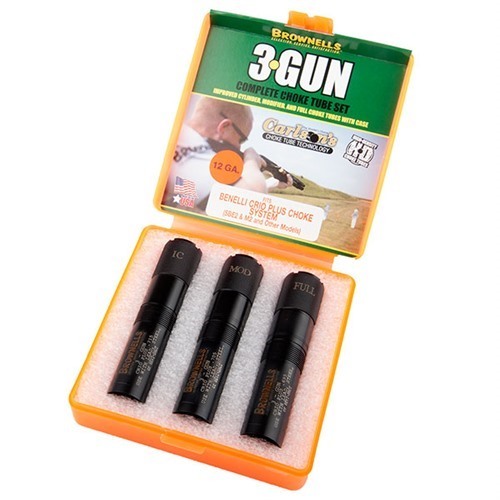 Shotgun chokes are another feature that can help you perform well during competitions. An improved Cylinder choke is used with slugs and buckshot. Also, it is used with groups of close targets on birdshot stages. If a birdshot stage has distant targets or targets close to penalty targets then you need to use a Modified or Full choke. All professional shooters change choke tubes from stage to stage. You need to have a standard set of 3 chokes. Most of the shooters use light-gathering fiber optics sights. They are very bright and gather light exceptionally well. Two of the most popular light gathering sights for the Benelli M2 are Easyhit and HiViz Comp Sight. They both work pretty well. Easyhit has a very long light gathering pipe which makes the sight very bright. The HiViz Comp Sight has a set of pipes and you may choose the diameter and color you would like. Easyhit is installed using 3M double-sided duct tape. HiViz Comp Sight comes with a set of screws and you can replace the factory sight with the HiViz Compsight. 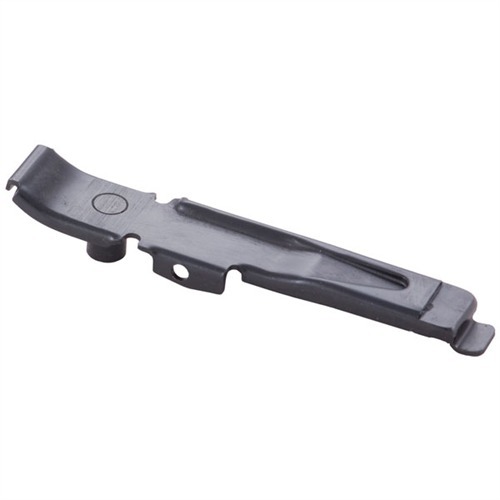 One of the must have parts that you always need to have with you is the Benelli M2 Carrier Latch. This part needs to be replaced over time especially if you shoot and dry fire often. Other parts that are good to have are the extractor, extractor/carrier latch spring and firing pin. 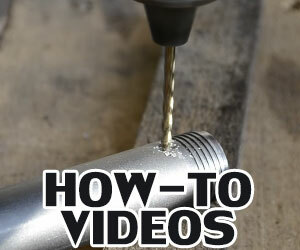 It is probably possible to drill and tap factory bolt release without removing it but it will be more comfortable to remove it. I drilled and tapped mine on a lathe. The button portion came off. I was able to turn a shoulder on it and weld it back on. I wouldn’t advise to do it. It was very difficult and i do this for a living.